The increasing use of structure-from-motion photogrammetry for modelling large-scale environments from action cameras attached to drones has driven the next-generation of visualisation techniques that can be used in augmented and virtual reality headsets. It has also created a need to have such models labelled, with objects such as people, buildings, vehicles, terrain, etc. all essential for machine learning techniques to automatically identify as areas of interest and to label them appropriately. However, the complexity of the images makes impossible for human annotators to assess the contents of images on a large scale. 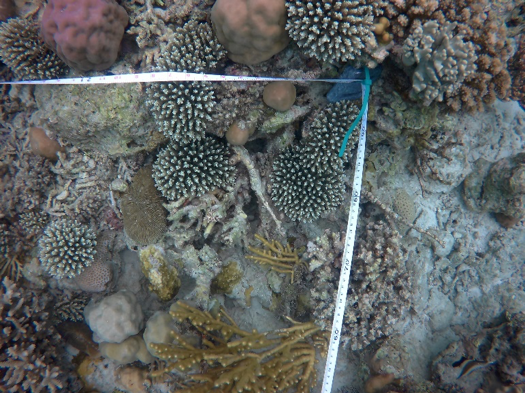 Advances in automatically annotating images for complexity and benthic composition have been promising, and we are interested in automatically identify areas of interest and to label them appropriately for monitoring coral reefs. .Coral reefs are in danger of being lost within the next 30 years, and with them the ecosystems they support. This catastrophe will not only see the extinction of many marine species, but also create a humanitarian crisis on a global scale for the billions of humans who rely on reef services. By monitoring the changes and composition of coral reefs we can help prioritise conservation efforts. The data for this task originates from a growing, large-scale collection of images taken from coral reefs around the world as part of a coral reef monitoring project with the Marine Technology Research Unit at the University of Essex. Substrates of the same type can have very different morphologies, color variation and patterns. Some of the images contain a white line (scientific measurement tape) that may occlude part of the entity. The quality of the images is variable, some are blurry, and some have poor color balance. This is representative of the Marine Technology Research Unit dataset and all images are useful for data analysis. The images contain annotations of the following 13 types of substrates: Hard Coral – Branching, Hard Coral – Submassive, Hard Coral – Boulder, Hard Coral – Encrusting, Hard Coral – Table, Hard Coral – Foliose, Hard Coral – Mushroom, Soft Coral, Soft Coral – Gorgonian, Sponge, Sponge – Barrel, Fire Coral – Millepora and Algae - Macro or Leaves. The training set contains contains 240 images with 6670 substrates annotated.Two files are provided with ground truth annotations: one based on bounding boxes "imageCLEFcoral2019_annotations_training_task_1" and a more detailed annotation based on bounding polygon "imageCLEFcoral2019_annotations_training_task_2". The test set contains 200 images.